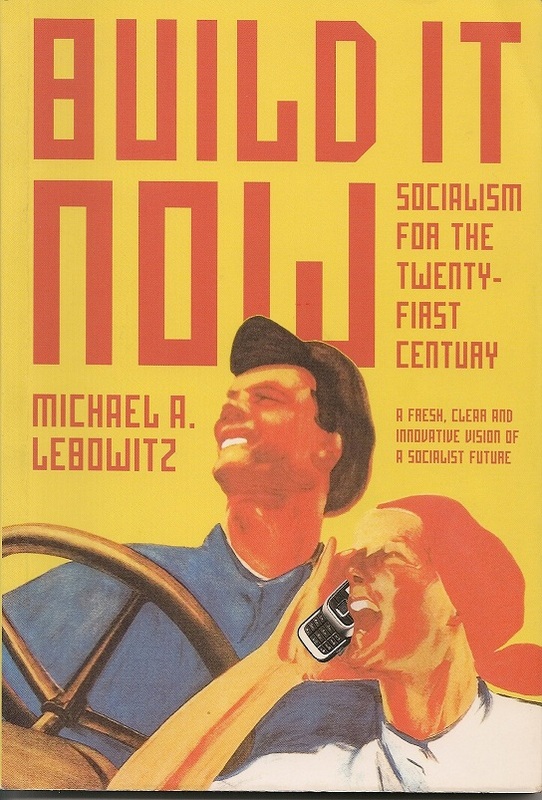 If you’re looking for a re-hashing of classic, 19th and 20th century socialist thought and practice projected onto the 21st century world scene, you’ll be sorely disappointed with Build It Now: Socialism for the Twenty-First Century, by Michael A. Lebowitz. Subtitled, A Fresh, Clear and Innovative Vision of a Socialist Future, the author explores the reason behind the seeming failure of marxist/socialist attempts to effect lasting social change. It is, he says, because Left revolutionaries have forgotten that anti-capitalism is only part of socialism’s proposed transformation of society. What has been forgotten (and what Ché Guevara clearly articulated) was Frederick Engel’s assertion of the necessity of simultaneously building both new, material foundations, and the development of the capabilities and powers of each member of that society, in freedom. In short, re-inventing a new socialism by means of the development of new socialist men and women. Lebowitz then lays out for the reader a short history of the rise to power of Hugo Chavez and the revolution that led to the creation of the Bolivarian Republic of Venezuela (in which Lebowitz was personally involved), and the creation of the Bolivarian Constitution, in 2000. After describing the ins-and-outs of the establishment of this new socialist experiment, Lebowitz details how the new National Assembly, established under the provisions of the new Constitution, has strived to improve the mind and spirit of the Venezuelan people as vital as the improvement of their material condition–to build a society based on human bonds as necessary to making a common humanity the heart of social and economic relations, as well as how this new model may impact other nations and cultures as the 21st century progresses. Build It Now is a short read; only 122 pages, including notes. But it has been such an eye-opener to this reviewer that it has provided me with food for thought as I contemplate my own ideas of where socialism should go in the decades ahead, and the exciting and innovative ways for me to help construct such a new world. I highly recommend it to anyone seeking to do the same.